The US FDA’s Process Analytical Technology (PAT) initiative provides a structure for “Quality by Design” (QbD) deployment. As part this initiative, knowledge of industrial processes is gained using analyzer technologies to develop critical quality factors, efficient control limits, and rational specifications. The original initiative has been extended by the FDA so that bioprocess companies can be benefitted from the QbD framework. This article analyses the development and use of fermentation analytics as per the settings of the QbD framework. Raman spectroscopy is ideally suited for QbD applications as process environments can be in situ monitored and controlled rapidly and in real time using Raman analyzers. RamanRxn Systems™ suite of analyzers from Kaiser Optical Systems offer true in situ monitoring of bioprocesses. The sharp, well-resolved peaks of the characteristic Raman spectrum clearly provide compositional information about the contents of a bioreactor. Raman systems are capable of monitoring the solid phase in slurries containing water, which is not possible with Fourier transform infrared spectroscopy (FTIR), as its resolution is affected by the strong IR adsorption of water. Additionally, they are user-friendly and offer flexible sampling benefits like NIR spectroscopy, including the application of non-contact sampling optics and remote location of the analyzer. Fluorescence interference was a problem that limited the use of dispersive Raman to monitor fermentation processes earlier. This problem can be considerably reduced or eliminated through the use of a longer incident wavelength. In this experiment, Kaiser’s advanced dispersive Raman instrument using close to 1000nm excitation was employed for monitoring the fermentation of corn mash to ethanol. The ensuing Raman spectra did not show any fluorescence. The experiment used Kaiser’s Raman-Rxn2™1000 analyzer in conjunction with a fiber-coupled 457mm in situ probe and an InGaAs array detector. A Sartorious Biostat B+ 2L bioreactor was used to perform saccharification and fermentation of corn mash simultaneously. Continuous monitoring of the fermentation process was carried out over a period of 72h, and for every 10 minutes, Raman spectra were continuously captured using 30s exposure time with a cosmic ray filter and 10 accumulations. A Shimadzu HPLC was used to collect and analyze the grab samples. Figure 1 shows select Raman spectra acquired in the process of fermentation, revealing the generation of an ethanol peak positioned at 880 cm–1. The concentration measurements of the desired components, including DP4+ (higher sugar), starch sum, ethanol, glycerol, glucose, maltose, and maltotriose, using HPCL. Partial Least Squares (PLS) multivariate calibration models were then used to correlate the measured concentration of the components to Raman spectra. GRAMS/AITM PLSplus/IQ™ with a 5 factor model was used to analyze all the data. Figure 1. Raman spectra of fermentation process. Red spectrum = start of fermentation, purple spectrum = end of fermentation. The comparison of Raman predicted concentrations and HPLC measured concentrations is presented in Figure 2, revealing the good agreement of the in situ Raman analysis results with the HPLC results but free from the shortcomings of an HPLC analysis. The results for all components are presented in the Figure and the calibration results are summarized in Table 1. Outstanding correlation coefficients and SECV values were obtained for each of the components investigated by the Raman technique. Figure 2. Ethanol formation profile showing HPLC measured versus Raman predicted concentrations. Figure 3. Raman predicted profiles for all constituents. The results show that fermentation processes can be in situ monitored in real time using the Raman analyzer, supporting the use of Raman analysis for bioprocesses as per the QbD settings. Aqueous-based systems can be conveniently and accurately analyzed and the components can be effectively quantified with the Raman analyzer utilizing 1000nm excitation. Since Raman analyzers provide real-time measurements, operators can control the process in a timely manner to achieve optimized process performance, improved product quality and lower operating costs. Compared to conventional HPLC techniques, Raman analyzers eliminate process contamination and the need for sample extraction, standard solutions and dilutions. Kaiser’s Raman technology provides an easy-to-integrate in situ probe to the fermentation industry to conveniently monitor the progress of fermentation processes. Kaiser Optical Systems, Inc. is a world leader in spectrographic instrumentation and applied holographic technology. Principal products include Raman sensors and instrumentation, advanced holographic components for spectroscopy, and astronomy and ultra-fast sciences. Principal offices and the manufacturing facility are located in Ann Arbor, Michigan. Their products and services are deployed throughout the world in such diverse applications as pharmaceutical and chemical manufacturing, nanotechnology, telecommunications, education, forensic science, deep-sea exploration, and astronomy. From particles smaller than a human hair to objects as large as planets, their products are providing their customers unique insights into both today’s as well as “age-old” questions. Kaiser was founded in 1979 to meet the need for diffractive or holographic optics for the avionics market. Kaiser entered the spectroscopy market in 1990 with the introduction of the holographic notch filter. 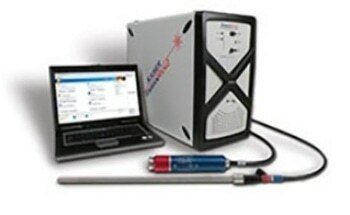 In 1993 Kaiser released their first Raman analyzer, the HoloProbe. In 2013, the company became part of the Endress+Hauser Group. To better serve the European community, Kaiser opened a new subsidiary in Europe in 1998. Kaiser Optical Systems SARL is located in Lyon, France. Kaiser SARL supervises their distributor network within Europe. This information has been sourced, reviewed and adapted from materials provided by Kaiser Optical Systems. For more information on this source, please visit Kaiser Optical Systems.